WARNING: Birmans are very addictive!!!!!! Here at Arklan Birmans we strive to breed healthy outgoing bir-babies, they are usually available from October until April. All ‘pet quality’ kittens are registered, vet checked, desexed, vaccinated, microchipped, flea free and wormed before leaving for their new homes. They are also litter tray and scratching post trained. They leave with a kitten pack including food samples, and a care and diet plan. Kittens spend time indoors (underfoot) and in the Cattery, so they are very well socialized. I STRONGLY recommend when buying a kitten from my Cattery, that your new “ Bir-Baby” is kept TOTALLY INDOORS or has access to a secure outdoor enclosure. Birmans are quite happy to live indoors, however, if your home is vacant for long periods of time I would suggest that you have two Bir-Babies as Birmans love company and will not be happy to be left alone. For those families who don’t want to go through the kitten stage, I sometimes have retired breeding males and females available that are looking for a ‘special’ family to love. Retired adults will be desexed (no exceptions), registered, microchipped, fully vaccinated, vet checked, wormed and flea free before leaving. 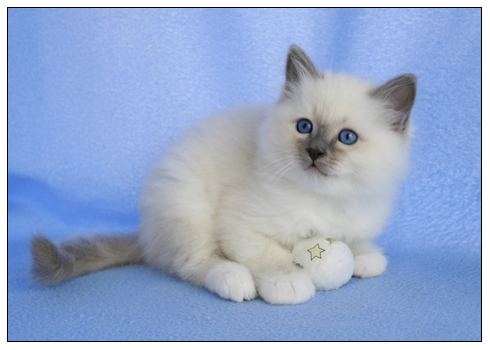 Please note – a non-refundable deposit will be required at the time of viewing to secure your kitten. Viewing is usually between 6-8 weeks of age. Please note – a non-refundable deposit will be required at the time of viewing to secure your retiree.